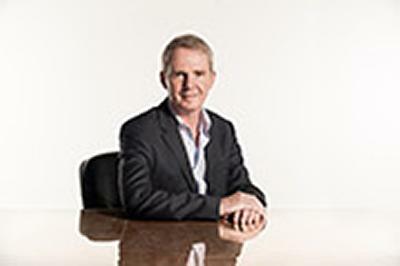 Professor Nigel Shadbolt, one of the world’s leading experts in Web Science and the pioneering co-founder of the Open Data Institute (ODI), has been knighted in the 2013 Queen’s Birthday Honours List for services to science and engineering. Professor Shadbolt, Head of the Web and Internet Science Group at the University of Southampton and ODI Chairman, is one of the co-creators of the interdisciplinary field of Web Science. He is a Director of both the Web Science Trust and of the Web Foundation - both organisations with a common commitment to advance the world’s understanding of the Web and to promote the Web's positive impact on society. Together with fellow Southampton Professor and inventor of the World Wide Web, Sir Tim Berners-Lee, Professor Shadbolt established the ODI in East London’s Tech City last December. The organisation is a catalyst for innovation, focused on unlocking supply and creating demand for open data to generate economic, environmental and social benefits. In a career spanning some 30 years, Professor Shadbolt has over 400 publications to his credit in topics ranging from cognitive psychology to computational neuroscience, Artificial Intelligence to the Semantic Web. In 2009 the Prime Minister appointed Professors Shadbolt and Berners-Lee as Information Advisors to transform access to Public Sector Information. This work led to the highly acclaimed data.gov.uk site that now provides a portal to thousands of datasets. In April 2011 Professor Shadbolt became Chair of the UK Government’s midata programme -which seeks to empower consumers by releasing their data back to them. Other Southampton alumni receiving knighthoods were Professor Peng Tee Khaw, consultant ophthalmic surgeon, for services to ophthalmology and Professor Eric Jackson Thomas, currently Vice-Chancellor at the University of Bristol and president of Universities UK, for services to higher education.